Overcast skies and windy. High 53F. Winds NNW at 20 to 30 mph. 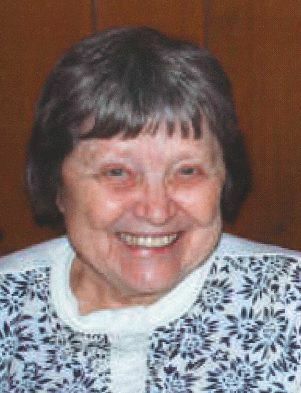 Higher wind gusts possible..
WATERLOO — Donna Laurine Young, 89, of Waterloo, died Monday, Jan. 7, at Covenant Medical Center. She was born July 18, 1929, in Waterloo, daughter of Donald and Laurine (Leistikow) Rose. On Nov. 6, 1948, she married Keith Young in Waterloo. She graduated from West High School and then attended Teachers College and King’s College in Delaware. After school, Donna worked at Rath’s dry beef department and at John Deere in the pattern shop. After raising their family, Donna and Keith moved to North Carolina, Michigan and Wisconsin, but later returned to Waterloo. Donna was an active member of Walnut Ridge Baptist Church and sang in their choir. She also sang on the radio as one of Polly’s friends, daughter of Paul Hutchens, author of Sugar Creek Gang book series. Survived by: her husband; three sons, Keith A. (Teresa) and Donald (Melinda), both of Cedar Falls, and Robert (Christine) of Lino Lakes, Minn.; a daughter, Diane (Brian) Hunnicutt of Green Bay, Wis.; 16 grandchildren and 24 great-grandchildren. Preceded in death by: her parents; a son, Kenneth Young; and many aunts and uncles. Services: 11 a.m. Saturday, Jan. 12, at Walnut Ridge Baptist Church, with burial in Waterloo Memorial Park Cemetery. Visitation will be for an hour before services Saturday at the church. Parrott & Wood Chapel of Memories, an Overton Family Service, Waterloo, is in charge of arrangements. Memorials in lieu of flowers: may be directed to Walnut Ridge Baptist Church or to the family. Donna enjoyed fishing and spending time with her family. She also was a gifted seamstress; making quilts, clothing for her children and grandchildren and reupholstering furniture.